What symptoms have you seen in your dryer? While there are many issues you could be having, there are just a few dryer parts that are usually to blame. Regardless of what is found, the important thing is that all defective dryer parts are replaced right away. This includes the smaller attachments that might or might not be damaged from previous malfunctions. To ensure your dryer repair is up to snuff, our Oak Park dryer repair technicians fully test the machine before leaving your Oak Park IL home. 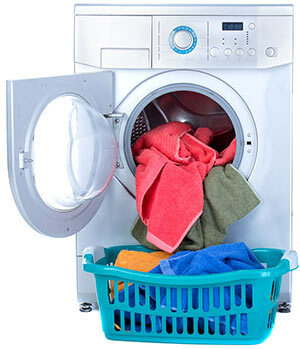 We have a major success record when it comes to providing quality dryer repair in Oak Park IL. We can handle repairs on all types of dryers, including natural gas, steam, and other rarer models. The brand name is also no concern and we have access to dryer parts for practically all makes and models of dryers in the past 20 to 30 years. However, if we cannot get the dryer parts in Oak Park IL we will inform you first before ordering them through the mail. After all, we understand the urgency of your dryer repair needs and sometimes replacing the dryer might be better than waiting for weeks. Thankfully, our local suppliers have most dryer parts any appliance owner could ever need so this is not often an issue. Further, we will only collect the amount we spend on parts when you get invoiced for your dryer repair in Oak Park IL by one of our repair techs. Beyond that we are not going to attempt to charge you for diagnosing the problem or visiting your home, so long as you decide to follow through with a repair service. If you are in urgent need of appliance repair help in Oak Park IL, you are welcome to give us a call and set up an appointment. What problems can a clogged dryer vent cause you? The most noticed issue is a decrease in drying efficiency -- which translates to loads taking longer and dinging your utility bill more. It can also cause the dryer to run louder than normal. Clothing could also come out damp, and they might come out too hot after a Perma-Press cycle runs. The worst case scenario would be that the clogged vent can cause a fire, damage automatic sensors, and/or cause the dryer motor, bearings or heating element to give out early.